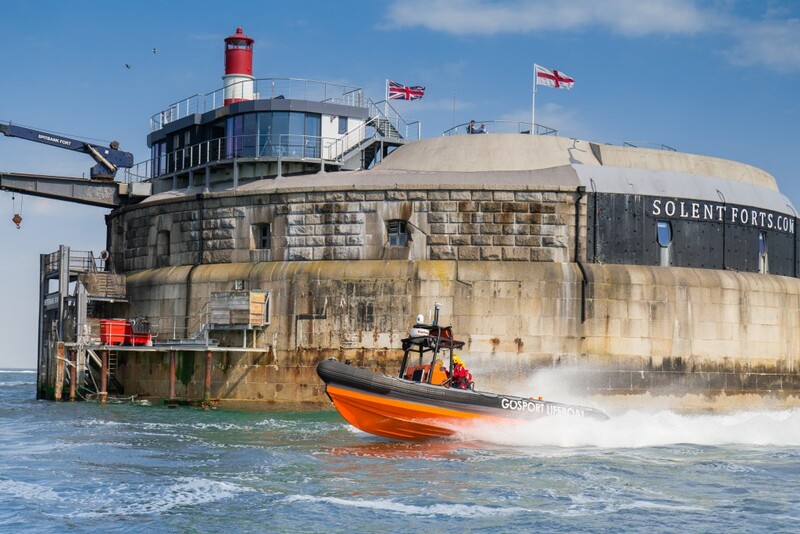 A 35-year-old sailor who suffered a head injury when his vessel overturned in The Solent was assisted by the crews of an independent lifeboat on Saturday. The man, from Portsmouth, was sailing with a friend in a 5.9-metre catamaran when they were overturned near No Man’s Land Fort. Gosport & Fareham Inshore Rescue Service’s lifeboat was on patrol in the area when they noticed the crew of the catamaran were struggling. UK Coastguard tasked GAFIRS to investigate and when they arrived on the scene at around 1430 the crew of the catamaran had just managed to right it. 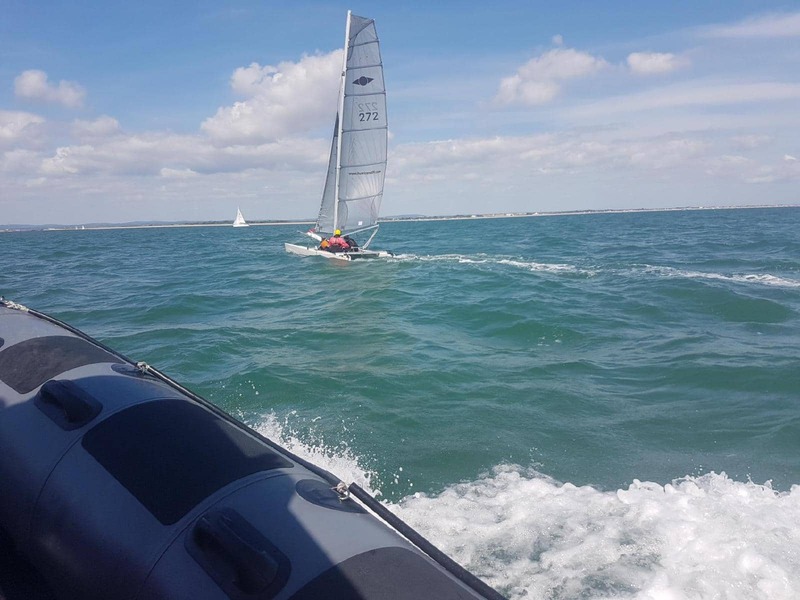 GAFIRS lifeboat coxswain Mike Allen said: ‘I placed a crewman on board the catamaran to assist with sailing it back to its home port on Hayling Island as it was clear the crew were tired. Hayling Island Coastguard Rescue Team and an ambulance met GAFIRS and the casualties when they arrived at the Ferry Boat Inn pontoon to provide further treatment. The incident was the 39th of the year for GAFIRS. Later on Saturday afternoon, GAFIRS carried out its 40th job of the year when it worked alongside Hamble Lifeboat to assist a seven-metre RIB that had lost steering. Hamble Lifeboat took the vessel under tow and GAFIRS were stood down by UK Coastguard from the incident. In total, GAFIRS was tasked to five incidents on Saturday, including helping Hill Head Coastguard Rescue Team locate an emergency distress beacon which had been inadvertently set off in Portsmouth Harbour. Gosport & Fareham Inshore Rescue Service is completely independent of the RNLI and relies on public donations to keep it afloat.